Last weekend I made this pillow. I love this fabric. It is called Tulip Dawn. I bought it online from Tonic Living - an absolutely amazing fabric store. This was the first time that I made an envelope pillow - the kind where the back looks like an envelope and the pillow form slides inside through the opening. 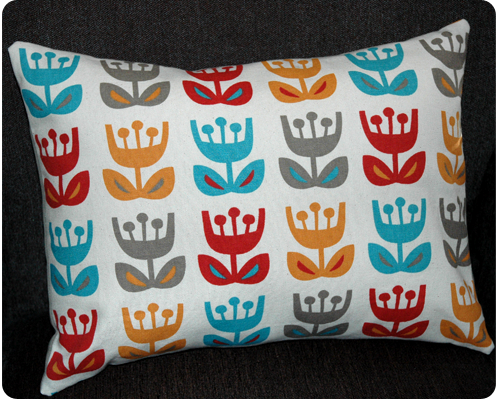 I used to make pillows by sewing the bottom seam together once I had put in my pillow form. This made it impossible to wash the cover when needed without ripping open the seam. I have also made pillows by putting a zipper in the bottom seam and then zipping it closed after my form was inside. This made it possible to remove the cover for washing, but putting in a zipper always causes me considerable grief and frustration. Plus, a zipper is a little bulky on the bottom of a pillow. Now that I have made an envelope pillow, I am never going back. 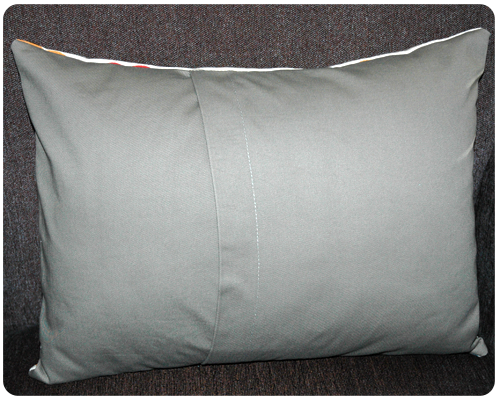 It was so easy to do, the finished pillow looks smooth and sleek, and I can take the cover off easily for washing. Since I was figuring this out as I went, and was so excited to give it a try, I don't have any pictures of the process to share with you. But I have bought some gorgeous outdoor fabric to make pillows for my deck chairs, and I will document that so to share the wonder and ease of making an envelope pillow with you all.